ST. GEORGE — St. George Animal Shelter is a facility owned and operated by the city. As a “no-kill” shelter —meaning euthanasia is reserved for animals that are either terminally ill or deemed a threat to public safety — the ultimate goal of the shelter is to place owner-surrendered or stray animals into good homes through pet adoptions. However, they can’t do it alone. Along with community support and partnerships with animal welfare organizations, the shelter’s volunteers provide vital loving care to dogs and cats. This care increases the animal’s chance of finding a new home, because animals that appear happy and healthy have a higher chance of being adopted. The St. George Animal Shelter celebrates the dedicated volunteers who donate their time and talents to improve the lives of many furry little friends. One of these volunteers is Jonnette Hardy, who works in the shelter’s “cat room.” The cat room may house as many as 30 cats at a time, so keeping it clean for the animals is essential. This is where Hardy comes in. For more than 13 years, Hardy has arrived every Wednesday morning to help with the cleaning of the animals’ housing, in addition to spending time with the cats and kittens. When asked what motivated her to volunteer at the shelter, her response was simple: “I like playing with the cats,” she said. In addition to the shelter’s appearance when people arrive, the St. George Animal Shelter facility also depends on its appearances in the online world, namely social networking profiles and web maintenance. This is where Rico Delsesto comes in. Delsesto is a photographer who donates his time and resources to the shelter by photographing dogs, cats and rabbits and then placing them on the St. George Animal Shelter’s Facebook Page, which he also manages and maintains. Once people interact with the dogs, cats, and even rabbits at the shelter many find they are great animals. So I get them out in the play area before I photograph them, so that people can see the animal’s personality in the photos. December 1, 2015 was the first “Giving Tuesday,” a global day of giving back to follow up the post-Thanksgiving shopping days. It was intended as a day for businesses, families, charities and others around the world to come together for a common purpose: to celebrate generosity and to give. With that goal in mind, the Smiths decided that volunteering at the shelter was their way of giving back to the community. Both of the Smiths are avid runners and also love dogs, so they volunteer at the shelter by taking each dog out for a good run. Typically, they each take a dog and run approximately 3 to 5 miles, or they run until all of the animals have had a chance to get out of their kennels and exercise. 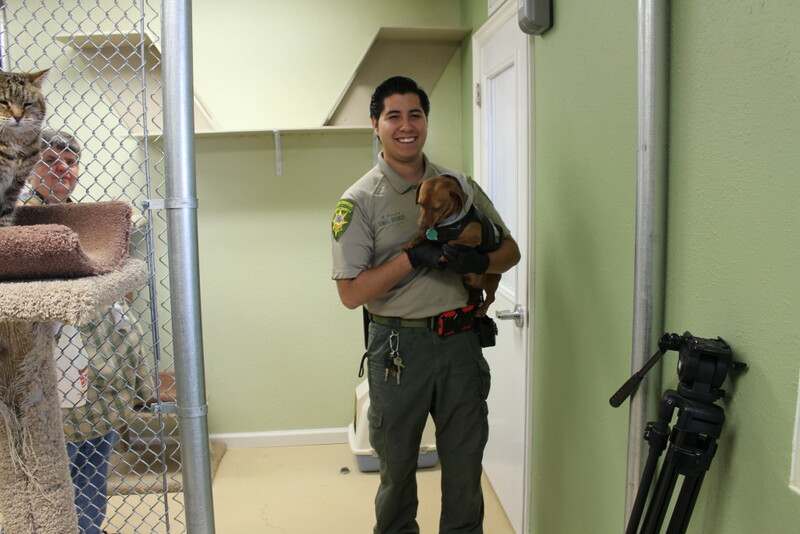 These volunteers are just a few of the many people who are vital resources for the St. George Animal Shelter and who, through their efforts, are improving the lives of all animals that live at the shelter before finding loving homes. The shelter openly accepts donations as well as volunteers. Anyone interested in lending a hand to support the shelter or who wants to visit the facility to find an animal companion is welcome to stop by 605 E. Waterworks Road in St. George or giving them a call at 435-627-4350. I have a great deal of admiration for the volunteers. Thank you, thank you!